When did Social Security begin? The Social Security Administration (SSA) began in 1935 when the legislation forming the entity was signed by President Franklin Roosevelt. The SSA began as an independent agency, over the years has been a sub-cabinet agency and in 1995 once again became an independent agency. Today the SSA is led by a commissioner, has 66,000 workers and is headquartered in Baltimore, Maryland. Almost all employed and self-employed people are covered by Social Security. Major exceptions include civilian federal employees hired before 1984, a substantial number of state and local government employees, and railroad workers. Who receives Social Security benefits? Social Security benefits are paid when you retire, become disabled, or die — but only when certain eligibility requirements are met. Your spouse and children may also become eligible for benefits when you become entitled or die. Who pays for the cost of Social Security? You and your employer each pay taxes for Social Security. Self-employed people pay both the employee and employer taxes. The employer and employee rate for 2013 is 6.2 percent of payroll up to $113,700, the maximum taxable amount. If you have two employers during the year, how is your maximum taxable amount determined? Each employer must deduct from your salary the Social Security tax on earnings up to the maximum taxable amount. Therefore, you may pay too much Social Security tax. Any excess amounts will be deducted from the federal income tax you owe or added to the refund due you on your federal tax return. How much in Social Security tax does a self-employed individual pay? You pay tax on 12.4 percent of your net earnings from self-employment. This compares to the 6.2 percent employer share and the 6.2 percent employee share. At what age can I begin to receive Social Security benefits? 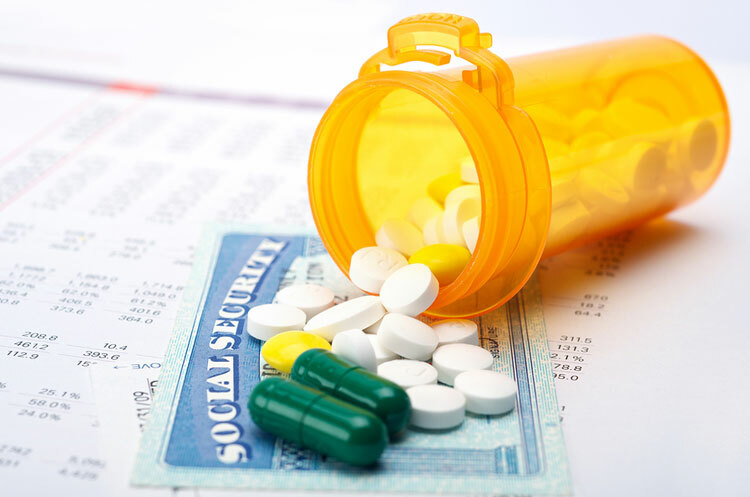 You may start receiving benefits as early as age 62 or as late as age 70. You can retire at any time between age 62 and your full retirement age as defined by SSA. However, if you start benefits early, your benefits are reduced a fraction of a percent for each month before your full retirement age. In 1983, amendments to the Social Security laws phased in a gradual increase in the age for collecting full Social Security retirement benefits. The retirement age is increasing from 65 to 67 over a 22-year period, with an 11-year hiatus at which the retirement age will remain at 66. Why would I want to delay receiving Social Security benefits? While planning for your retirement, you should be aware that retirement benefits depend on age at retirement. If you begin receiving benefits before your normal (or full) retirement age, you will receive a reduced benefit. You can choose to retire as early as age 62, but doing so may result in a reduction of your benefit of as much as 30 percent. Starting to receive your benefits after normal retirement age may result in larger benefits. With delayed retirement credits, you can receive your largest benefit by retiring at age 70. Benefits are income-tax free for the majority of beneficiaries. However, those with high total incomes must include up to 85 percent of their benefits as income for federal income tax purposes. What questions about Social Security do you need answered?